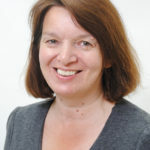 In this exclusive article Dawn Sinclair, archivist at HarperCollins in Bishopbriggs, delves into the collections to trace how the publishing house evolved from its beginnings in New York and Glasgow in the nineteenth century, to operating across the world today. As an international business HarperCollins publishers spans the globe. Our beginnings too are international, with J & J Harper beginning their business in New York in 1817. They were successful in making English and American future classics available in America as well as creating the Harper Weekly and Monthly magazines which gave a snapshot of the cultural movements of the time. 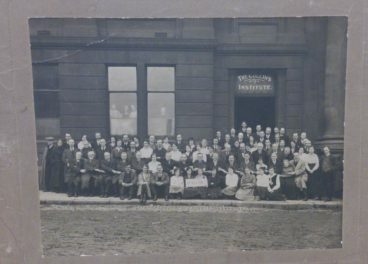 Two years later in September 1819, William Collins began his business in the city centre of Glasgow on Wilson Street. Each of these parts has its own singular history. As we have reflected on these histories and brought them together as one coherent history for our global bicentenary, it became apparent that due to our founders’ passion, innovation and care for their staff, our archive reflects the stories of our books but equally the stories of our people. Our founder William Collins I began his career in a mill before becoming a teacher. He set up Sunday schools around Glasgow helping people learn the basics of English and Arithmetic. 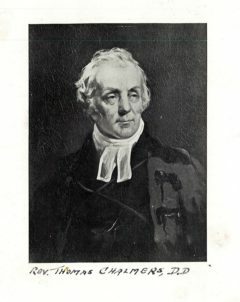 His interest in the temperance movement, as well as his involvement with the Church, led him to securing his first author, Reverend Thomas Chalmers. Our first book, The Christian and Civic Economy of Large Towns, was published on 24th September 1819 and was the first of many books by Chalmers published by Collins. Collins quickly grew and expanded the business with religious texts, fiction and education books. In 1839 the company gained the licence to print the Bible. By 1842 Collins had published the New Testament in three different typefaces, and the following year the first complete Holy Bible with 4,631,056 letters was set by hand. The first family Bible was then published in 1845 with some editions costing less than £1. By 1862, Collins became the publisher for the Scottish School Book Association and for the Irish National Education Board. Books for Canadian and Indian schools were also created in Glasgow and exported across the world. The Collins business had a strong presence in Glasgow and the publishing movement within Scotland in the 1800s. Along with Blackie and Sons in Glasgow, and Bartholomew and Chambers in Edinburgh, Scotland was a hub of activity. Our archive also holds a vast number of photographs, pamphlets and records which show the commitment the Collins family gave to the welfare of their employees and authors. From the earliest days, Collins had pensions for staff, employed hundreds of women and gave many other benefits to the workers. For example, in 1887, William Collins II founded the Collins Institute for his workers. It contained a library, dance hall, dining rooms and games hall for workers to enjoy their recreation time but also for them to gain other knowledge in English and Maths. Into the 1900s, welfare was just as important and the company began a Comfort fund for employees who were at the Front. Each person would receive a package of ‘home comforts’ which was paid by the company and staff fundraising. 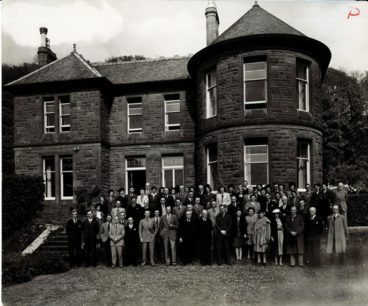 In 1948, the family bought a house in Largs which was a place for employees who were ill to get out of the city, rest, and enjoy the clean air. Holmwood House was open to employees from all levels and ran for nearly 20 years. William Collins I’s strong morals and beliefs continued through the generations of the family members who ran the company, each who appreciated their workers and wanted to provide for them and the local community. Our authors are obviously very much part of our history and are present in our archive. From our correspondence collections with famous authors to photographs and ephemera, the archive documents the work of some of the greatest writers. In 1926, we published The Murder of Roger Ackroyd by Agatha Christie and this set us on a long path with Christie which continues to today. 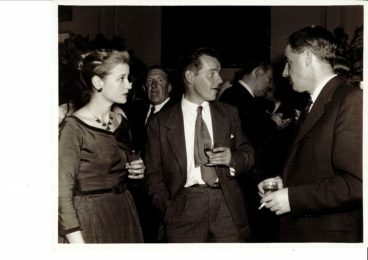 Her correspondence with William (Billy) Collins V shows not only a publisher and author relationship but a friendship which grew through time. Alistair MacLean, a Glasgow born author, also holds an important place in our archive. Having discovered Alistair through a writing competition in a local paper, we first published HMS Ulysses in 1955. He went on to write about 30 books for Collins some of which were made into very successful film. This is a snapshot of our archive and the wonderful stories it holds. It shows our place in the history of publishing but also within the history of the communities we worked in, the relationships we had with authors and the care the company had for it employees. Having the chance to celebrate 200 years of heritage has been an excellent opportunity to showcase our history and tell the stories which our holds. To learn more, visit http://200.hc.com/. This article is by Dawn Sinclair, who is archivist at HarperCollins archive in Bishopbriggs, Glasgow. This article originally appeared in the print edition of New Books Scotland Autumn/Winter 2017.